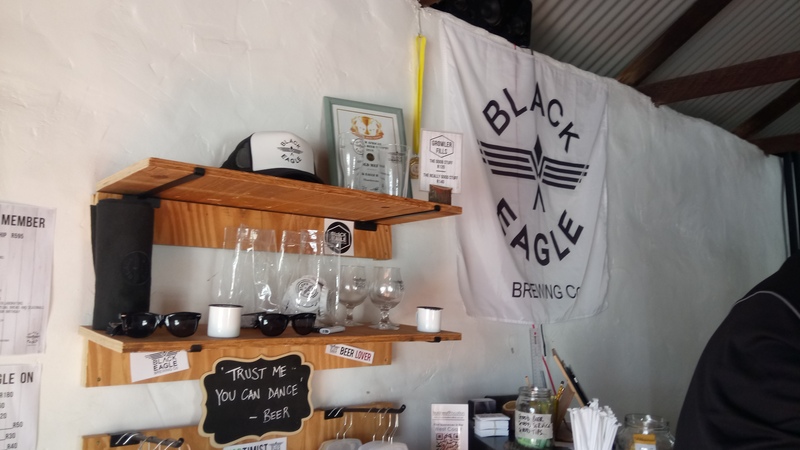 When I was doing a careful search into the best places to stay/dine at in Langebaan, the name ‘Black Eagle Brewing Company’ kept popping up. 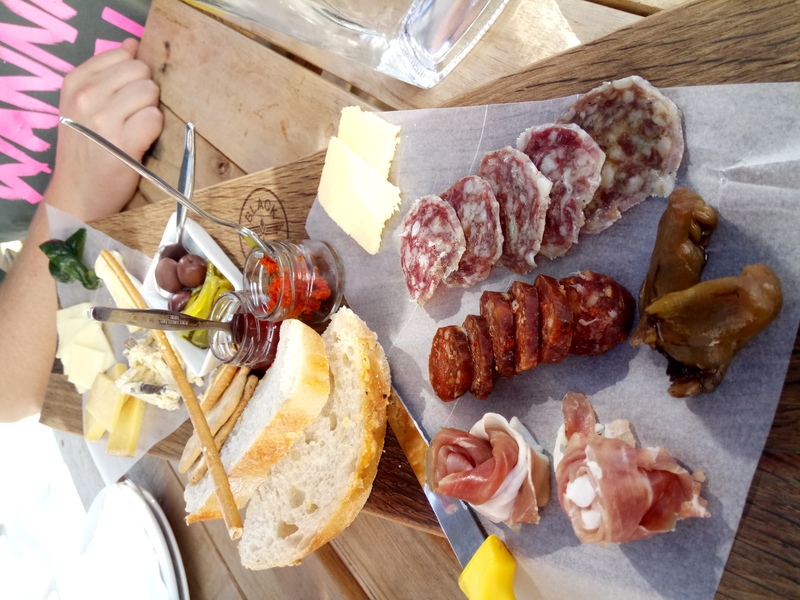 TripAdvisor reviewers were hailing this local brewery as a real gem for great beer and eats. 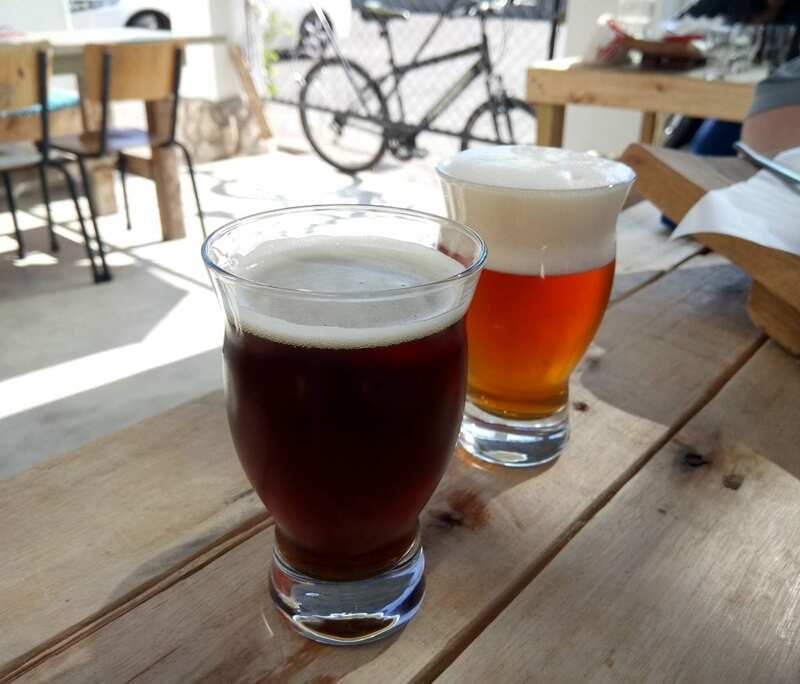 In some cases, others even rated it as one of the best little breweries in the Western Cape. Now, anyone who knows me, knows that cocktails – followed by wine – are my preferred drinks of choice. Still, on a few occasions, I’ve sipped and sampled some highly rated brews, putting my (low) beer-drinking threshold to the test. Also, my man is always kind enough to indulge my wine/cocktail side, it was the perfect opportunity to sample something he enjoys . It was to be my special weekend surprise and luckily, he only guessed on the day of our visit. If you’re out to treat someone in your life, celebrate a special occasion – or meet awesome people, then Black Eagle Brewing Co is for you. Hugo and Elmien share not only a deep love for quality craft beer, but also for people and music. This is clear from the cool bluegrass music that permeates through this casual brewery. When I asked Hugo about the name Black Eagle, he told us about the resident pair of African Black Eagles. The pair inspired both the name and the eye-catching, prominent logo. They nest nearby in the local quarry and inadvertently provide another fascinating element. The stately Black Eagle name and logo features on the fun beer labels and merchandise offerings. These allow you to “get your eagle on”, while looking chic and cool. 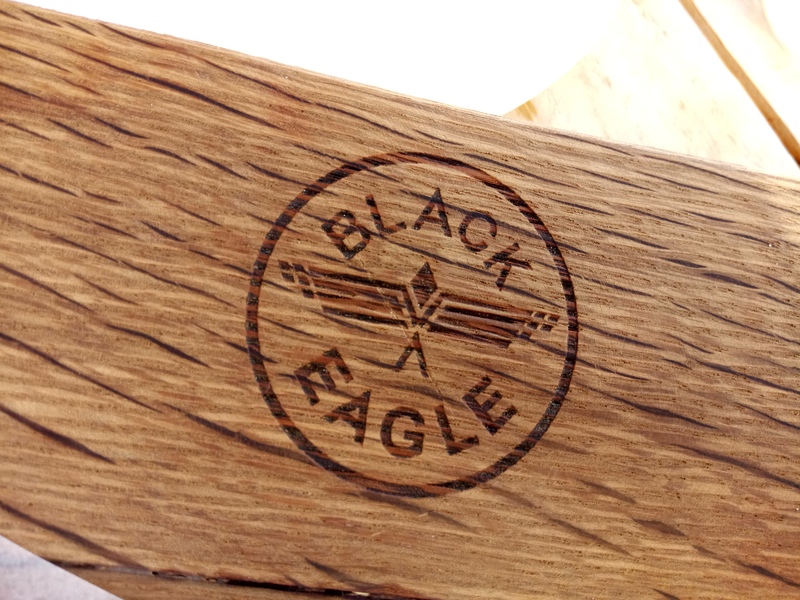 Visitors can buy Black Eagle Brewing Co peak caps, t-shirts, beer glasses and even stickers to name a few. The brewery and tasting room exist within an early 1900s building. In the past, locals used to keep the traditional West Coast delicacy, bokkoms . Today, though, this simple fish house has inspired their Fisker house brew. The go-getting couple have since transformed it into a lovely, modern day setting. The reformed building is somehow elegant and stately. Outside, white-washed walls, a pretty pergola and pallet-fencing reign. Inside, you’ll find the cool brewery and shop. 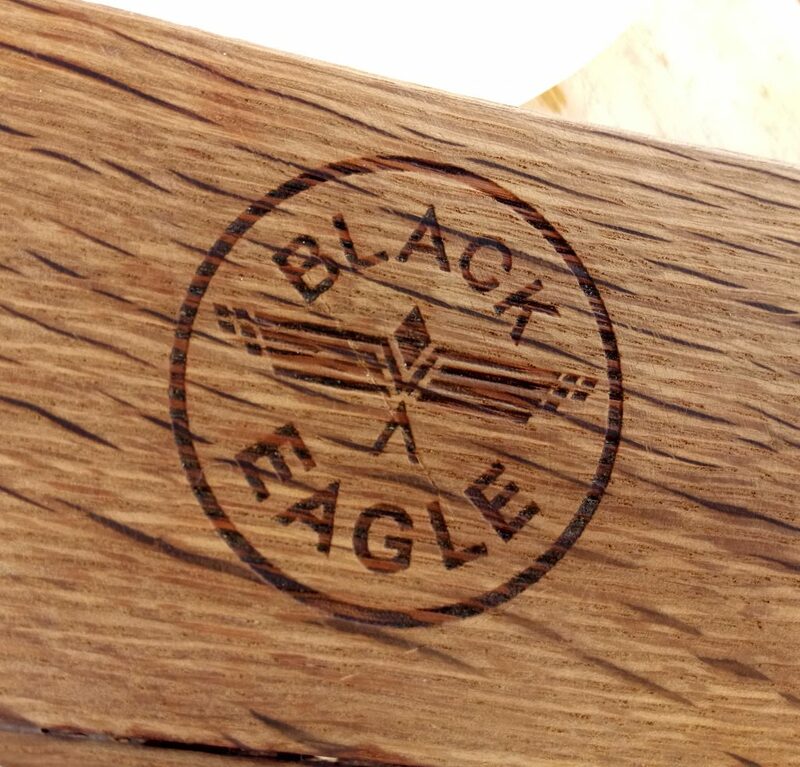 Black Eagle Brewing Company promises a unique beer-tasting experience for locals and travellers. This was clear on the sunny Saturday morning of our visit. From the moment you enter the outdoor seating area, you’ll be warmly greeted by either Elmien or Hugo. The vibe, you’ll discover, is a chilled, yet exciting one. It’s as if an electric current of positive energy flows through the brewery and its owners. Couples, families and groups of friends sit close together at simple wooden tables. Some of the seats are old school chairs, dotted with black marker pen scribbles of the youth… But somehow, there’s a wonderful sense of easy seclusion, allowing each table privacy. Guests enjoy fun moments with board games and selfie masks before Hugo brings the beer. He provides the same detailed, interesting background stories for each table. It could get wearisome, but he manages to convey the same passionate energy with each. Inside the small, delightful brewery-shop, Elmien works the beer taps. She does Growler refills, platters and purchases, serving customers with a ready smile. Together, Hugo and Elmien make for an effective team, and both are excellent to deal with. The vision for their break-away beers is clear… They wish to leave a lasting impression of quality and class with every sip. For us, this is a goal they’re achieving. I also love how they follow the primary classic beer styles but bravely add their own personal twists. When you’re there, it’s clear to see and sense for yourself why Black Eagle Brewing Co becoming a force to reckon with. 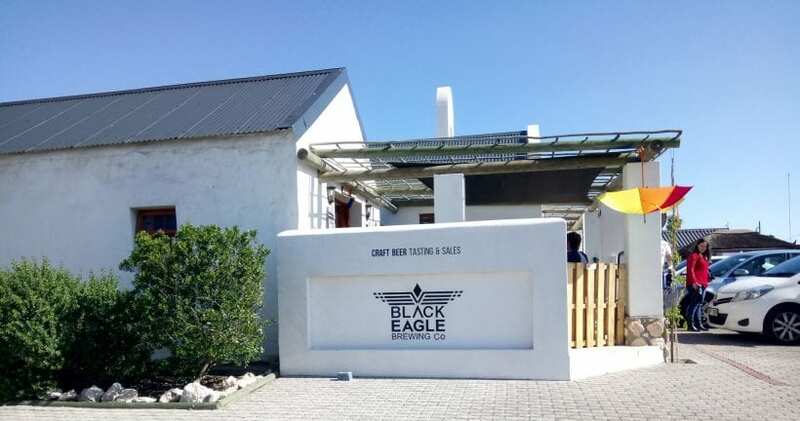 They are considering the idea of brewing bigger batches at another brewery but Langebaan remains their stronghold for the time being. Already, The Biggest Little Beer Shop in Willowbridge, Bellville offers their biggest beer: Baas van die Plaas. This is a Double India Pale Ale (or IPA). Once seated, it was time for our mother of all beer tastings to begin. For R60, you can enjoy six 100 ml beer tastings. This provides a wonderful sense of Black Eagle Brewing Co’s fine beers, while still offering a very affordable and well-priced outing. If all that beer tasting helps you work up an appetite, then you have a choice of eats too. Tuck into Rootstock potato crisps (R12 for a small bag, R30 for a large) or savour a delicious cold meat, cheese and preserve platter. Platters are R95 (for one person) or R180 (for two people sharing). Aside from curing growling tummies, their platters are also great with your beers. They help to clear your palate, and, as with wine tasting, enhance the different beer flavours. We enjoyed sharing the Eagle snack platter for one (R95). Even between two people, it was a good deal, with plenty for us both to enjoy. The platter goodies are locally sourced too. The excellent meats are courtesy of master meat curer, Richard Bosman and the cheeses are from The Real Cheese. Hugo mentioned looking to source more regionally in the future, like Darling. But, either way, you’ll be enjoying local eats… and in this case, local is lekker. I have to say it was one of the best platters I’ve ever had. I’d eagerly return to Black Eagle Brewing Company for their delicious platters alone! Platters are only available on Saturdays. So, if you’re keen to try them, make a note of that before visiting! Another way Black Eagle supports the local food and drink industry is through gigantic Growlers. Take these to any brewery (like CBC), and fill up with their beer once your Black Eagle brews are up. The same applies to Growlers from other breweries. 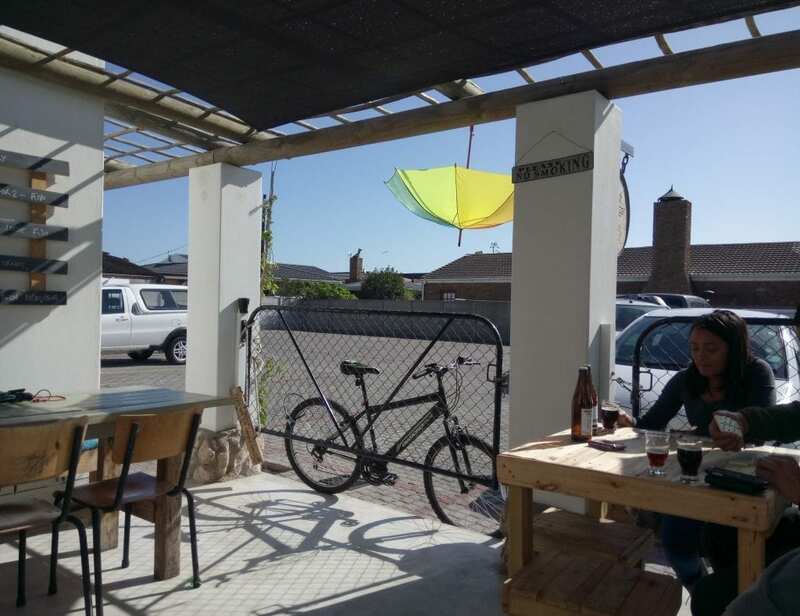 So, if you have one at home, be sure to bring your Growler along to Langebaan! It’s also a greener option, cancelling out the need for plastic beer jugs or tinny beer cans. Growler refills cost R120 for the “good stuff”, and R140 for the “really good stuff”. Our beer tasting started off with pale ales and progressed to stronger brews. The first two we tried were the house brew, Fisker, a Belgian pale ale. Norwegian for fisherman, it’s pronounced Fees-care and is a favourite among fishermen. Weskus Brekfis, Belgian Wit got paired with it. Both of these were easy drinking beers. Although Fisker is a firm favourite with many, I preferred Weskus Brekfis. It’s an easy, summery beer perfect for enjoying on lazy, chilled days. Between beer sips, we shared the excellent platter, prepared by Elmien and cool water jug Hugo gave us. 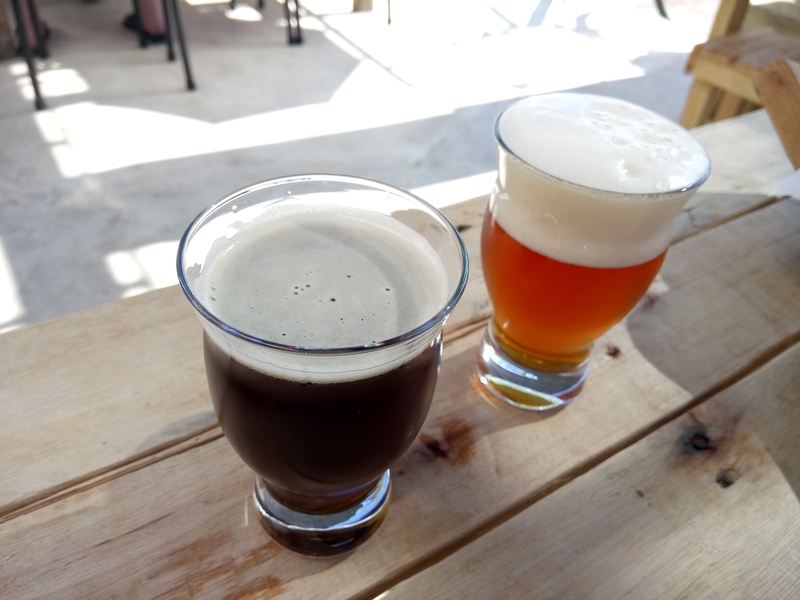 After that, we sampled the Christmas in July (spiced Belgian ale) and Moedersmelk. 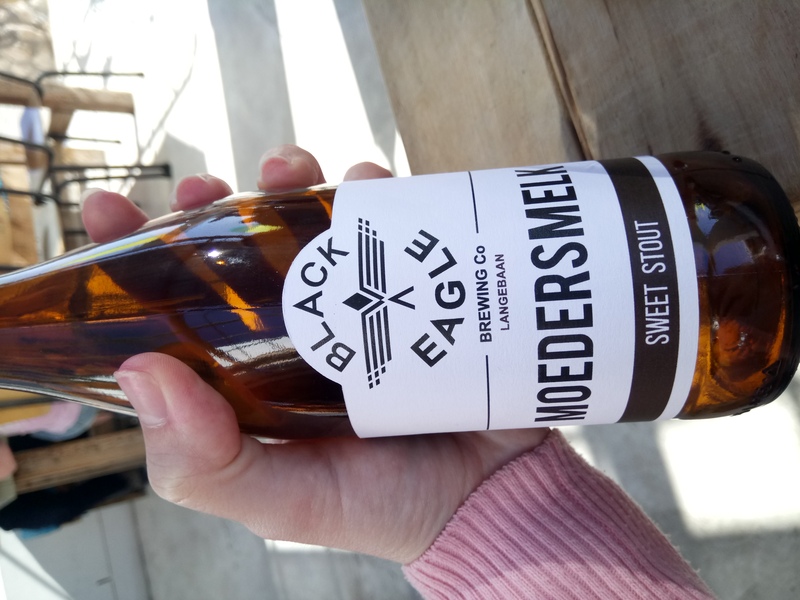 Meaning Mother’s milk in Afrikaans, Moedersmelk is a sweet stout. It’s not hard to tell why the Moersmelk beer was one of only two stouts to win gold in the SA National Beer Trophy 2016. This golden child, as it’s fondly called, was hands-down my favourite beer. It hints of dark chocolate and strong, freshly brewed coffee. These are two of my favourite things, so I had no difficulty finishing the Moedersmelk! 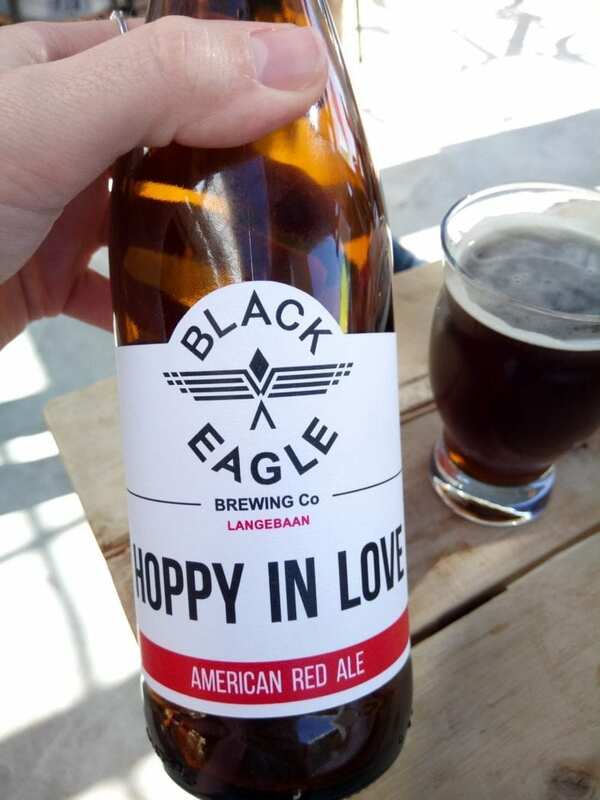 After that, we tried the last two offerings, the Hoppy in Love, American red ale, and the famous Baas van die Plaas, Double IPA (which definitely has a malt backbone!). These were undoubtedly the darkest and strongest we tasted. I have to confess I had some difficulty finishing them completely, although I quite fancied the Hoppy in Love at first. If you’re a true beer lover though, you’ll rejoice in the deep, rich flavours. 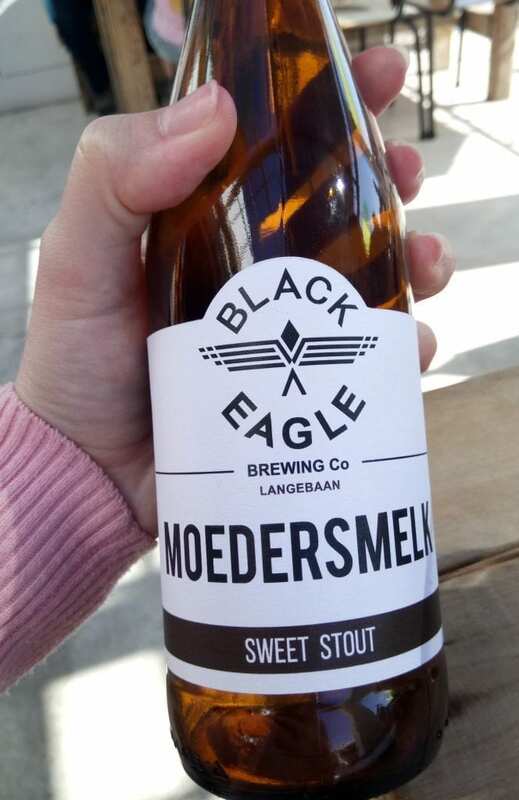 Other offered beers – found on their website – include: Vonkel, Katjie van die Baan, Sirene, Queue de Lion, Biere de Noel and soon-to-be-landing, Black. I’m not a beer lover but it doesn’t mean I can’t tell a good beer when I taste one. Even for me, it was easy to see why Black Eagle Brewing Company buzzes every Friday and Saturday. Particularly on warm days, their beers are sure to tick every box. Happily, the platters make for the perfect companion. 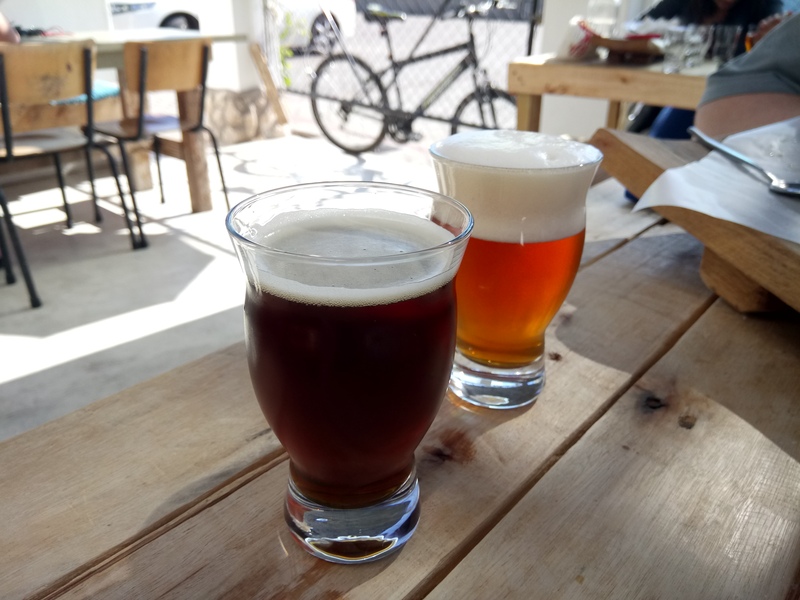 As mentioned, Moedersmelk and Weskus Brekfis were my two favourites but we both enjoyed sampling all the different beers. It was fun comparing the contrasting flavours and the varying colours too. I also loved the names and stories behind each. 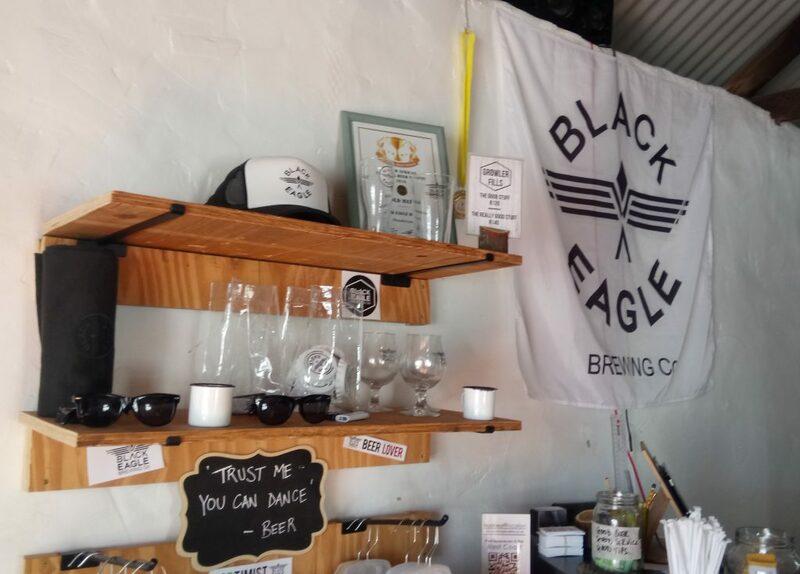 As such, I am happy to award Black Eagle Brewing Co a 9/10 rating for: delicious beers, tasty platters and wonderful passion; hands-on team effort; and chilled environment. They are extremely professional and friendly but still have that laid-back West Coast casualness. I would definitely revisit Black Eagle Brewing Company…. I will be keeping an eye out for their brews at local festivals and breweries in Cape Town. If you haven’t yet, I recommend visiting their lovely Langebaan brewery. Go on, wrap your talons around a cold one… I promise you won’t regret it! Thank you so much to Hugo and Elmien Roux for spending time with us and ensuring such awesome beer tastings and tasty eats in Langebaan. We really enjoyed our time with you, cheers to an awesome Saturday surprise! 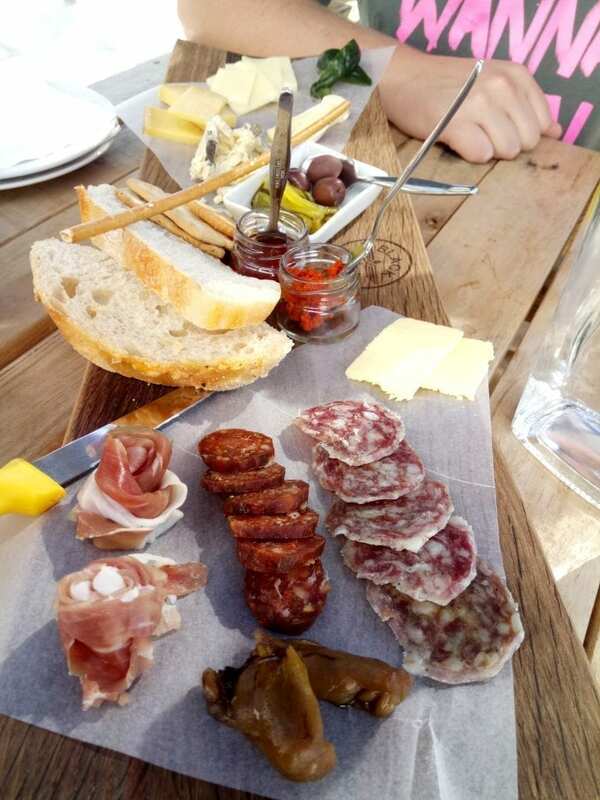 You will discover them for yourself at 4 Suffren Street, Langebaan – but you can also follow them on Facebook, Twitter and Instagram.